Researchers from The University of Texas MD Anderson Cancer Center have found a startling amount of new information about molecular features of tumors as well as identified previously unknown cancer subtypes based on a comprehensive analysis of 2,579 tumors from breast and four different types of gynecologic cancers. These new findings potentially could serve as a launching pad for future therapeutic studies. 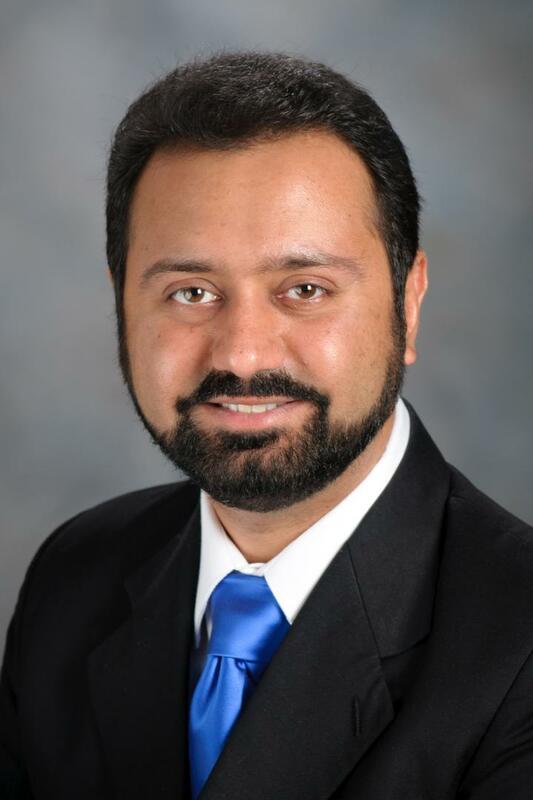 Results from the multi-institutional effort, led by Rehan Akbani, Ph.D., associate professor of Bioinformatics & Computational Biology were published this week in the online issue of Cancer Cell. The study is part of the Pan-Cancer Atlas, which has aimed to answer overarching questions about cancer by examining the full set of tumors available via The Cancer Genome Atlas (TCGA), a joint effort of the National Cancer Institute and the National Human Genome Research Institute. Akbani's investigation is one of several that conclude the Pan-Can Atlas and TCGA missions of mapping key genomic changes in an array of cancer types. "Our aims were to identify shared and unique molecular features, clinically significant subtypes and potential therapeutic targets," said Akbani. "We confirmed similarities previously identified in the five breast and gynecologic tumor types and discovered intriguing molecular relationships not observed in previous studies of these diseases. A number of the observations have possible prognostic and/or therapeutic relevance, although any clinical possibilities illuminated by this study would require extensive additional research before they would be ready for practical application." Using 16 key molecular features, the team identified five prognostic cancer subtypes and developed a decision "tree" that classified patients into the subtypes based on six features assessable in clinical laboratories. Identifying other subtypes with high leukocyte counts, raising potential implications for immunotherapy treatment in the future. Discovering the presence of significant estrogen receptor-regulated long non-coding RNAs (lncRNAs) and interaction "networks" between genes and lncRNAs. Observing many genetic aberrations including 61 somatic copy-number alterations (SCNAs) and 46 significantly mutated genes (SMGs). Eleven each of the SCNAs and SMGs had not been identified in previous TCGA studies of five tumor types. "This study presents a broad-based, curated atlas of gynecologic and breast cancer molecular features that we believe will be useful as a starting point for researchers in the field for many years to come," said Akbani. John Weinstein, M.D., Ph.D., chair of Bioinformatics & Computational Biology, and a member of the research team added that "the study complements other integrative TCGA Pan-Cancer Atlas projects that have painted molecular portraits of about 11,000 patient tumors in 33 cancer types." MD Anderson study participants included Anil Korkut, Ph.D.; Rupa Kanchi, Ph.D.; Apurva Hegde; Walter Lenoir; Wenbin Liu, Ph.D.; Yuexin Liu, Ph.D.; Visweswaran Ravikumar; Arvind Rao, Ph.D.; Andre Schultz, Ph.D.; Xubin Li; Keith Baggerly, Ph.D.; and John Weinstein, M.D., Ph.D., all of the Department of Bioinformatics & Computational Biology; Anil Sood, M.D., Gynecologic Oncology and Reproductive Medicine; Alexander Lazar, M.D., Ph.D., Pathology; Jason Roszik, Ph.D.,; Genomic Medicine; and Gordon Mills, M.D., Ph.D., and Christopher Vellano, Ph.D., Systems Biology. Other participating institutions included the Broad Institute, Cambridge, Mass. ; Van Andel Research Institute, Grand Rapids, Mich.; Baylor College of Medicine, Houston; Royal Institute of Technology, Solna, Sweden; Ghent University, Belgium; University of Houston; Buck Institute of Research on Aging, Novato, Calif.; University of California, San Francisco; Michael Smith Genome Sciences Centre, Vancouver, B.C. ; University of Sao Paulo, Brazil; Mayo Clinic College of Medicine, Rochester, Minn.; Dana Farber Cancer Institute, Boston; The University of Kansas Medical Center, Kansas City; University of Washington, Seattle; Medical College of Wisconsin, Milwaukee; University of Oklahoma Health Sciences Center, Oklahoma City; University of Alabama, Birmingham; University of Maryland School of Medicine, Baltimore; Institute of Human Virology, Abuja, Nigeria; Chang Gung University, Taoyun, Taiwan; Wake Forest Baptist Health Center, Winston-Salem, N.C.; University of New South Wales, Sydney; Cedars-Sinai Medical Center, Los Angeles; Leukemia Therapeutics, LLC, Hull, Mass,; National Cancer Institute, Bethesda, Md. ; and New York University Langone Health, New York. The study was funded by the National Cancer Institute (U54 HG003273, U54 HG003067, U54 HG003079, U24 CA143799, U24 CA143835, U24 CA143840, U24 CA143843, U24 CA143845, U24 CA143848, U24 CA143858, U24 143866, U24 CA143867, U24 CA143882, U24 CA143883, U24 CA144025, U24 CA210949, U24 CA210950, P30 CA016672, and P50 CA136393).